Many schools in Ireland put a great deal of effort into making their buildings as environmentally friendly as possible. This helps to reduce their energy bills but perhaps more importantly in the longer term, it provides a good example to the children. The Government has supported schools in recent years with funding being made available to replace old windows and to insulate walls and attics. There are a number of different green energy solutions that schools use with some of the most popular being rain water harvesting, solar panels and wood pellet boilers. However I think that solar panels aren’t the best green system for school. Obviously solar panels use the suns energy to heat hot water for use in the building. But because most schools are closed during the summer months, the panels are producing their maximum amount of heat and therefore hot water supply when the building is unoccupied. This can leave hot water lying unused in tanks for weeks at a time. Water quality issues may develop as dangerous bacteria can breed in stagnant hot water when it is left unused. This obviously depends on the school itself as some buildings are used during the summer months for camps and language training. A better green alternative may be wood pellet boilers. These are a good solution for schools, as they can provide hot water and heating for the school and using a carbon neutral fuel source. The difficulties are that they are less forgiving if regular maintenance is not carried out and a supply of good quality dry wood pellets is a must. Because of this, the Department of Education and Skills are now considering involving private companies to supply and maintain the boilers, i.e. they will essentially sell heat to the school. This leaves the school to concentrate on other matters like educating are younger folk. The final point to consider about wood pellet boilers is that they require a warm up time period for the fire to take hold and heat the water in the buffer tank. This can take between 30 minutes to an hour and means that the heating controls would need to be set earlier to allow for this. Any heat from an oil boiler is relatively instant by comparison. 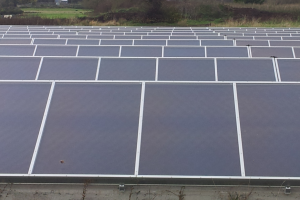 I think PV panels are the way to go. In the UK they are going up everywhere, even in conservation sensitive Cornwall. In the summer when there is long days and abundant electricity generated, potentially, the school(s) can be miniture power stations generating enough surplus to power a few local homes. At least the electricity is fed back into the grid. For 3-4 months in the year, it can be bringing in revenue for the schools. This can off set costs for the schools when demand is at its greatest. And when there is little or no sun. What’s made investment into alternative energies so attractive now than say 10-15 years ago, is the price of fuel has more than doubled. And technology has advanced, prices have come down, and the willingness of energy companies to buy back the surplus electricity generated from local small generators. True, for the UK and Germany to name a few PV panels are a good solution as they are subsidized by the respective governments. The feed in tariffs introduced in those countries are excellent. 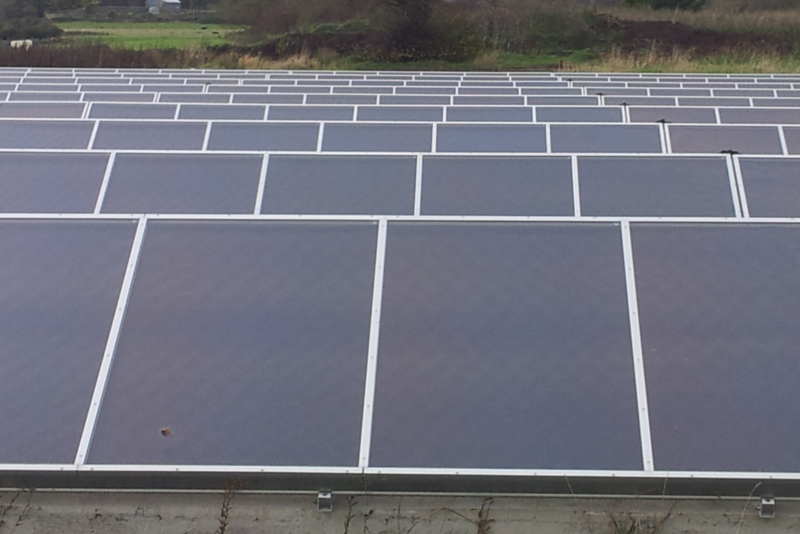 Unforgivably in Ireland you can’t sell it back to the grid unless you are a generating company, as far as I am aware. The technology is improving all the time so it is an exciting area and I believe it can be built into glass windows. Congrats on your very informative website…a lot of info available about different technologies all in one location…well done. Just would like to add that a Thermodynamic system like that currently being installed by LVP Renewables and seen on TV can be another option for those wishing to have hot water at good value. I had a 250litre system installed this year and the cost so far is less than 50c/day which I consider very good considering it is serving a house with 4 adults (incl. 20 & 21 yr olds). The fact you can just switch it off when going away on holidays etc. is also a big plus compared to standard solar systems which you cannot just turn off.